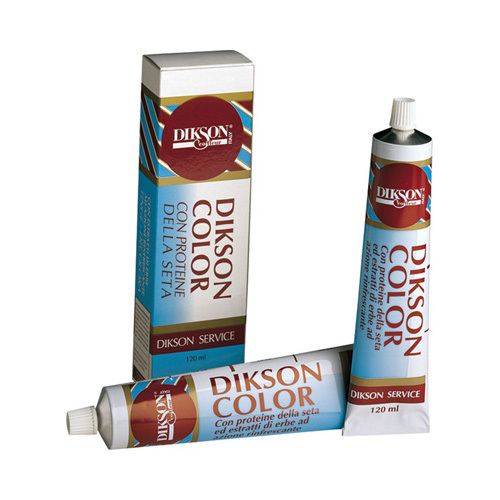 Is the new color of the traditional collection DIKSON COLOR. With EXTRA COLD SERIES colour becomes a fashion accessory is a tool that ensures creativity through games of chromatic effects for the modern woman. 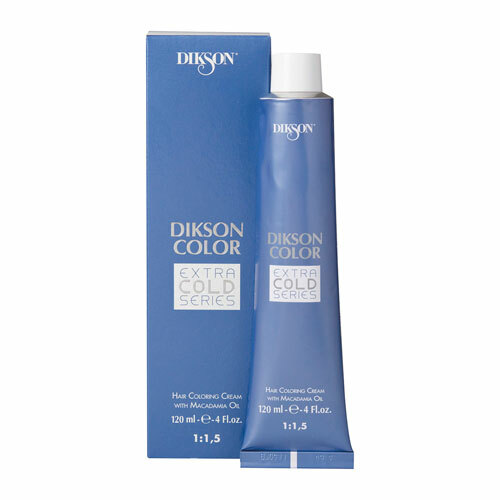 • HOW SUPERLIGHT to lighten the hair up to 4 tones: from 7 tone (light blonde) 10 tone (extra light blonde). The delicate pastel shades are discrete and long-lasting. • TONER after bleaching treatments AS for chromatic effects more pronounced ' more "cold". • How to DYE white/gray HAIR (80% white hair). • HOW to neutralize COLOR HARMONIZER red hues is orange and yellow. • Interchangeability of use: the combination of shades with oxidizing emulsion in several volumes allows to differentiate the results and expand the range of fashion proposals. • Simplicity of execution of treatment: the use of nuance COLD does not change the habits of the hairdresser and color toning results by making sure and optimal. 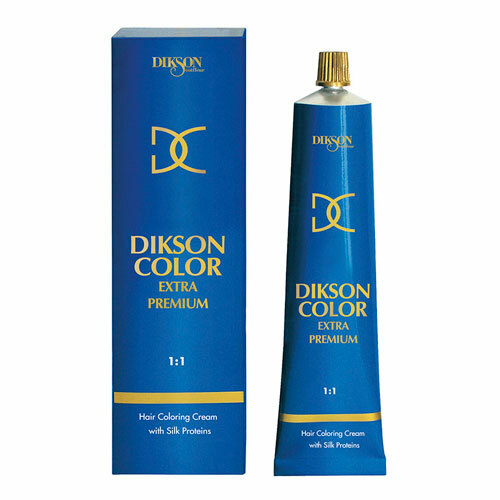 • Duration of treatment color: flexible according to the needs and desires of the customer. • Result color: absolutely original and unique in Customizing. shades: 7 colours high added value innovative pastel orange ' silver ' ASH ' IRIISÉ ' SALMON PINK ' SAND ' purple. • If it is a first application ' that is in natural hair colored ever: natural hair from 7 tone (light blonde) to 10 (extra light blonde) tone evenly distribute the mixture prepared on lengths and ends of the hair leaving it on for 10/20 minutes. At the end of the exposure time ' to prepare the same dye mixture and spread evenly on the roots ' leaving other 40-45 minutes posing for. • oxidizing emulsion 10 volumes is 5-20 minutes ' processing time depending on the intensity of the reflection that you want. • oxidizing emulsion 20 volumes 20-30 minutes ' resting time. • on natural hair ever cooked mixture evenly colored roots ' lengths and ends of the hair leaving it on for 20-30 minutes. 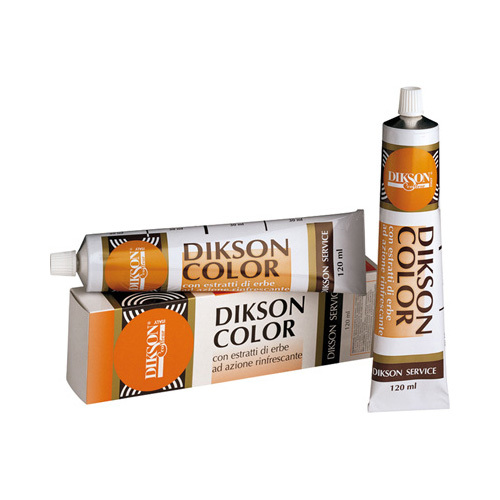 • oxidizing emulsion 10 volumes is 5-20 minutes ' processing time depending on the desired reflection and depending on the porosity of the hair. Staining is complete and its shutter is pour warm water on the hair and emulsify. Rinse hair thoroughly until the water runs clear. 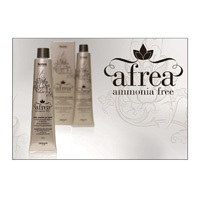 To follow to acid pH shampoo and apply a mask to prevent oxidation and colour fading ' favoring a longer service life. Reduce the shutter speed after perms or hair straightening.